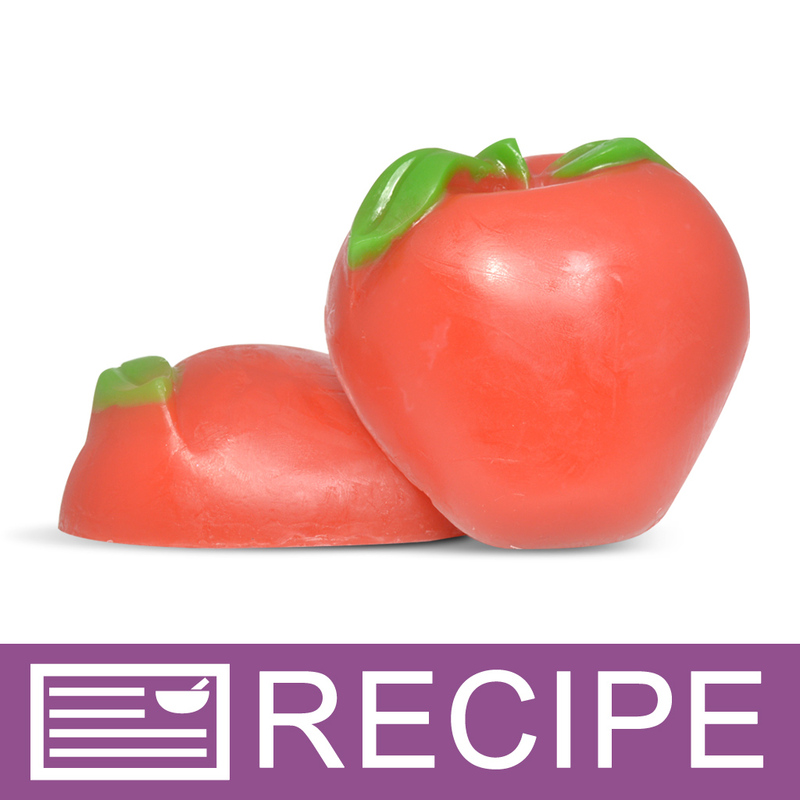 Create apple soap bars with this plastic mold. Perfect for the back-to-school season as teacher’s gifts. 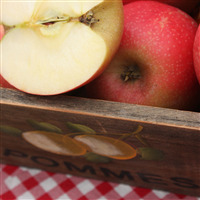 This also sells well at fall craft shows or maybe at a special harvest fair or event. 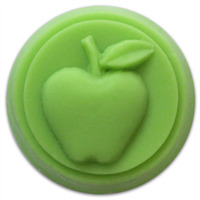 Bar Depth: 1.5 Bar Length: 3 3/8"
"I agree with all above my review"
"Apple with Leaf Soap Mold"
COMMENTS: This is very cute. It makes an adorable bar. It does not take much time to make the leaves. Put that in the freezer a few minutes and spray gently with alcohol to keep your colors separate then pour a bit of cooler apple color on gently. Go ahead with the rest of your pouring. After cooling, just carefully push the apple out with your thumb. I had one of these molds for several years before I needed to replace it. A good deal. 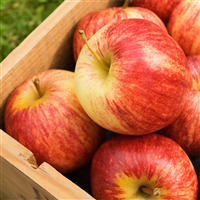 The product sells very well, especially if you make apple scent. Washes with warm water. "What colorants would you recommend to capture the red and green colors?" Staff Answer I would recommend our Matte Woodland Green and Matte Americana Red pigments to achieve these colors. "So I just made these! I am happy with the turn out but I have question as to how you got the super red color with out using clear soap base? Did you mix white and clear to give it a better solid color? " Staff Answer Melt clear soap and add just a tiny sliver of white soap to cloud the clear. It will allow your red to be red instead of pink (which happens when you mix red color with white soap). "What is the most effective way to fill in the details on the mold? " Using a detail soap injector is a perfect way to fill in tiny details. You can also use a very small brush, but I find it doesn't get a thick enough layer to be truly opaque. You could also try pouring very thin streams of hot soap down a chopstick or toothpick, depending on the size of the cavity. Hope that helps, I really prefer the injector! A tip: Keep your injector in a cup of very hot water for easy rinsing. It's a pain to clear the tip once the soap solidifies inside! Staff Answer I like to use a plastic dropper (WSP sells these). Simply fill the dropper with warm soap and gently squeeze the soap into the detail area of the mold. If you get soap in an unintended area, simply take your fingernail or a popsicle stick and scrape it off of the mold. If you find the soap starts to harden in the dropper, place it in a glass of hot water and the soap will quickly re-liquefy. I also like the injector tool. Do the leaves and stem first by tilting the mold and holding it there till the soap hardens. It might take several tries till the leaves and stem are filled in perfectly--depending on how particular you are! I've made beautiful apples with this mold but it does take some time. "Is this a 3D mold or is that apple flat on the back side?" Staff Answer This mold is flat on the back. It sits beautifully in a soap dish! !